Just how do you score Blue Box Cafe reservations? Breakfast at Tiffany’s is one of the hardest bookings to get in New York City. I am going to tell you how I got a table and how you can get one too. First of all, full disclosure, I had a wonderful experience there. You can read my review of The Blue Box Cafe here –> I had Breakfast at Tiffany’s. 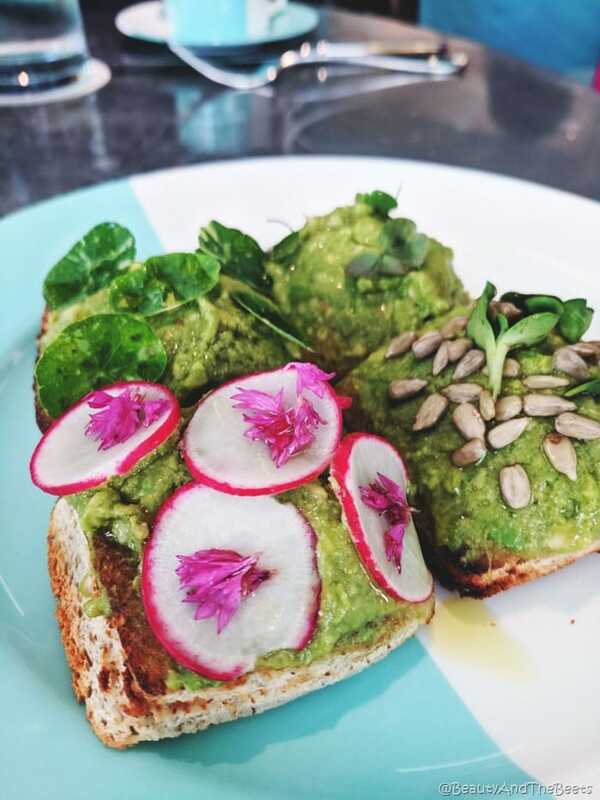 Read on to learn how to land Blue Box Cafe reservations. Last Fall when The Blue Box Cafe opened, there were lines wrapped around the block of the Tiffany’s iconic flagship store at the corner of Fifth Avenue and East 57th Street. People waited for hours in lines that wrapped around the block, and you could only order breakfast if you were seated during breakfast hours. This means that even though you were in line at 8am, if you were seated after 11am, the menu switched to lunch and now you were having Lunch at Tiffany’s. First, you must sign up for an account with RESY. Download the app to your phone and fill out ALL the required information including adding a profile picture and entering your credit card information. 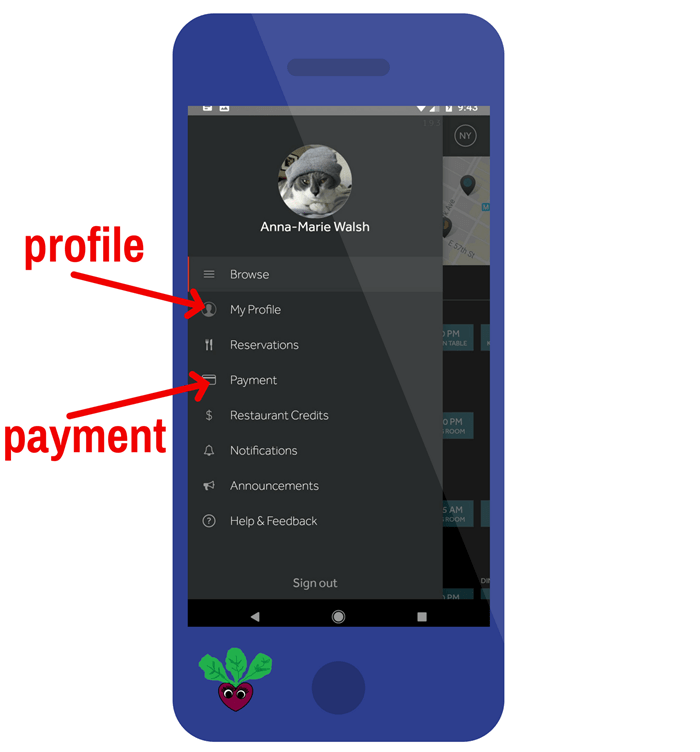 Having your payment information in the app is key (and required). Your credit card is only used if you no show to an existing reservation. Second, know that reservations are literally made 30 days in advance. Keep in mind that some months have 28 or 31 days so 30 days from your desired date is not the same day of the month table bookings open. For example, reservations for August 11 will open on July 13 at 9am. So be sure to count exactly 30 days from the date you want a reservation. OK, so now it is 8:55am 30 days out. Double check to make sure EVERYTHING is filled out in your profile and be logged in to the RESY app. Go to the Blue Box Cafe Reservations listing. Be sure to enter the date you are looking for and the number in your party. In other words, have everything ready to go so at 9am you can be the fastest trigger in the west. At 9am on the dot, (hopefully your phone follows the standard time to the atomic clock like everything else in the world), refresh the app, then click on the “make a reservation” button. And here’s the trick – do not stop and linger over the times. Just randomly select one. And do not take the first time as everyone will be trying for that time. Just randomly pick a time. Do it so quick that when you get to the next screen you won’t even know what time you picked. Just hit confirm and grab it. If you are lucky you will see a confirmed time and then you will learn what time you have snagged your Blue Box Cafe reservations. If you do not get a confirmed reservation, keep reading because the fat lady ain’t sung yet. No matter what time you got a confirmed reservation for, here’s the good news. With the demand of people wanting to eat breakfast at Tiffany’s, the Blue Box Cafe now offers the breakfast menu all day in addition to the lunch and tea service menus. So, yes, whether you reserved a table at 9am or 2pm, you can order the coddled egg or the buttermilk waffle. 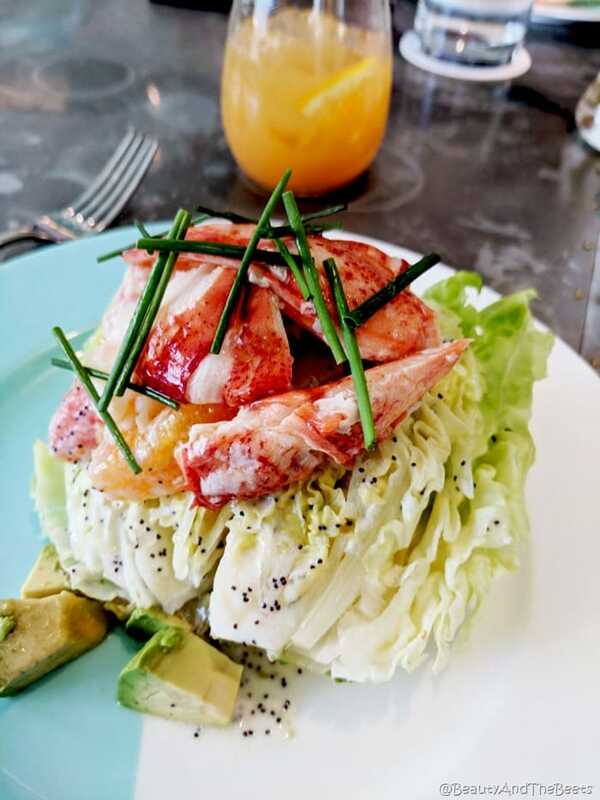 But do not underestimate the Fifth Avenue Salad on the lunch menu with Maine Lobster, grapefruit and poppy seed dressing. It is by far one of the more popular offerings. OK, so you just were not fast enough. Now what? (You can certainly try for another time but chances are all the reservations are gone.) Absolutely hit the notify me button, then watch your email. You will be surprised at the number of emails you will receive notifying you that a table may have become available. Parties will cancel their reservation more often than you think. I would wake up in the morning and find anywhere from 1-5 emails from RESY letting me know there may be a reservation open in my desired time slot. Many of the notifications came into my inbox overnight. Check your email often. When you are on the notify list, there is no order of who gets an email. Everyone on the list gets an email at the same time so the key is to stay on top of your inbox. Will this drive you and your loved ones insane? Yes, yes it will. Only you can decide how important it is for you to have a croissant and a cup of coffee on the Fourth floor of Tiffany & Co. The big question people ask me – was it worth it? For me, the answer is yes. I LOVED everything from the moment we stepped into the elevator until the moment we stepped out of the store with our bellies full. My Mother, who did not witness how tough it was trying to get the reservation says no. While she enjoyed it very much, as a resident of the city she says there are too many other places to eat to go back a second time. And for my husband, who did hear every curse word that came out of my mouth before I figured out how to make Blue Box Cafe Reservations, he did not see the appeal. But he doesn’t understand, we had Breakfast at Tiffany’s. However, if all else fails, go eat in the Basement of the Plaza Hotel. Trust me, it’s fabulous. So good luck and let me know how you do!! Fantastic write-up. I had no idea how hard it was to get the reservation. I have to say, it might be easier to get tickets for an Adele concert or for the broadway show Hamilton. WOW!!!!!!! You did an incredible job explaining step by step on how to get this reservation. Hi! 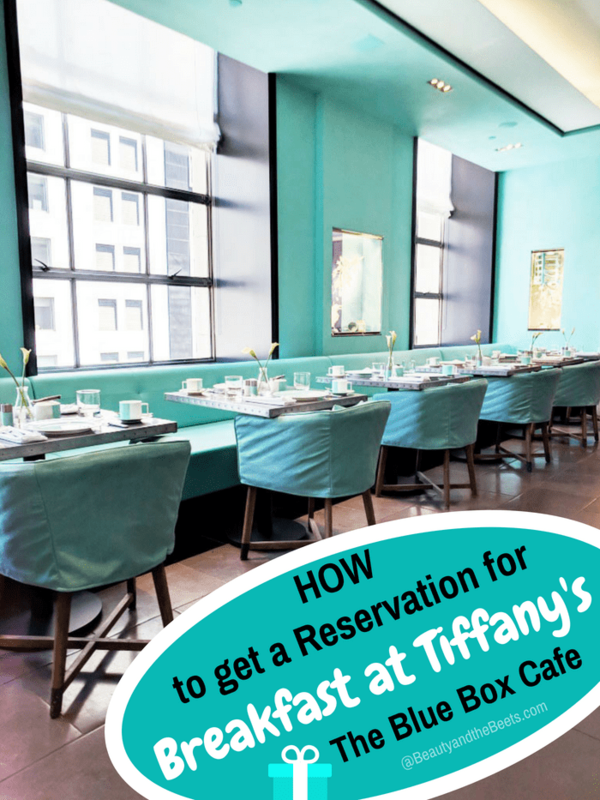 Just wanted to thank you for the great info on how to get a reservation at Tiffany’s Blue Box Cafe. You were so right on. I did exactly what you said and we got a reservation for the day and time we wanted. I got up at 5:55 am cause I’m in California. Breakfast at Tiffany’s has been my favorite movie since I was a little girl, now my daughter and I are literally having breakfast Tiffany’s. You are the best. Thanks so much!! This trip is going to be a blast and your great blog made it that much better! Thank you Tamara for such a nice comment – you totally made my day! I hope you guys love it as much as I did, it is truly a super amazing experience. Let me know what you think!! Thank you for your detailed article. I’ve been practicing for weeks so my daughter and I would be prepared, yesterday, to make a reservation. We were not prepared at all, my daughter found your article after failing yesterday. Not securing a reservation upset both of us more than anyone can understand. Our Tiffany story started 31 years ago when I took my daughter (at the age of 7) to Tiffany’s in NY to buy her first pair of earrings. Her name is Tiffani, hence the desire to go to Tiffany’s. Fast forward to now, I read an article about the Blue Box Cafe in the newspaper and immediately made plans for us to go and have ‘Breakfast at Tiffany’s’, just her and I, a mother daughter experience. Little did we know securing a reservation would be extremely stressful. 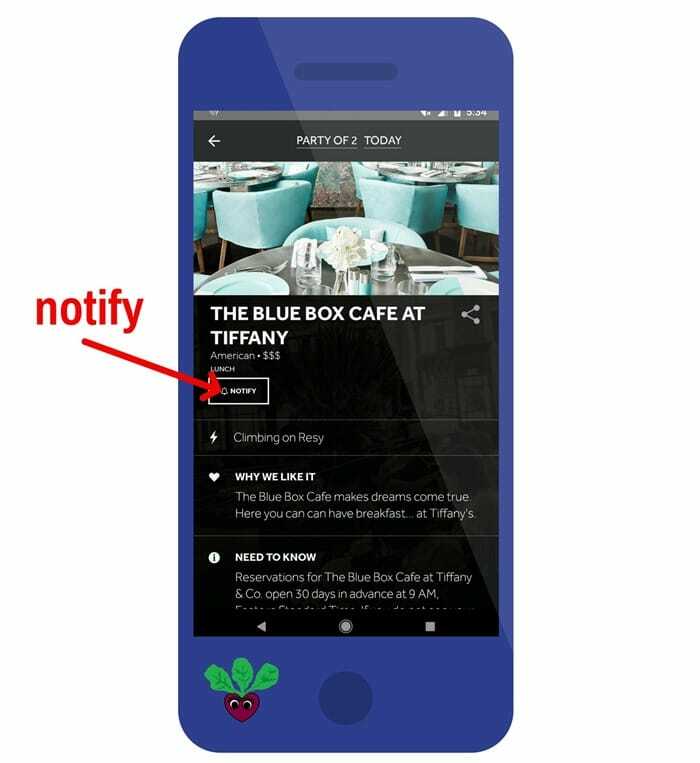 Today, thanks to your article, as my daughter and I sat in front of our phones, continually refreshing the Resy App, my daughter secured a reservation. We are elated!